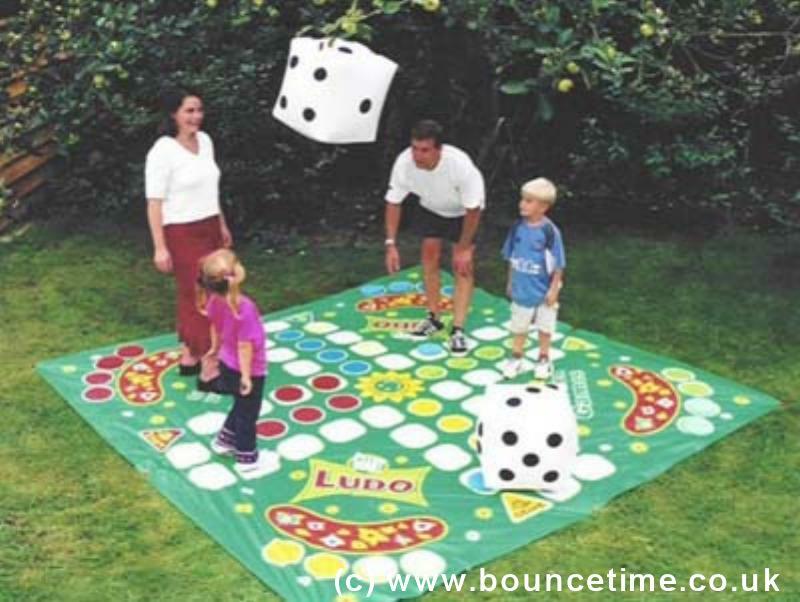 Ludo Giant Garden Game - Bouncy Castle Hire 4 Kettering, Corby, Wellingborough, Rushden, Raunds, Rothwell, Desborough, Market Harborough, Adult Castle, Slide, sumo wrestling, Sumo, Crazy Games, Giant Garden Games, Northamptonshire. Our inflatables are ideal for kids parties, adult parties, Garden Party and a corporate or business event. Large and small events are catered for and we are fully insured. We offer cheap and discount prices in school holidays and for larger events. Perfect as a team game or played as individuals. Giant Ludo takes fun to a totally new dimension. Form a block for other players by landing two members of your team on the same space. Send your opponents back to base by landing on the same space as them. Giant Ludo is a tactical game full of rivalry to get temperatures rising.